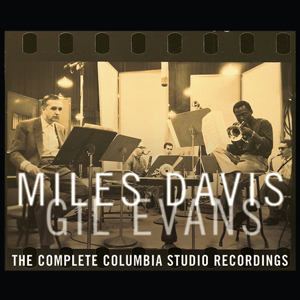 From their first work together on the Birth of the Cool sessions in 1949, Miles Davis and Gil Evans forged a unique relationship as great soloist and brilliant arranger. The real opportunity to explore their shared vision didn’t come until 1957, however, when Davis had forged a relationship with a major record label able to support it. Though a product of the big-band tradition, Evans was never limited by sectional voicings and riffs. He had an interest in unusual instrumentation and a talent for creating subtle mixes of distinct voices, adding French horns, oboe, bassoon, and harp to the conventional big band and thinning its saxophone, trumpet, and trombone sections. His arrangements for Davis are like settings for the finest jewels, whether he’s creating rich, brass chords or adding only light percussion to the trumpeter’s solitary lament. Together Davis and Evans produced three orchestral masterpieces: Miles Ahead (1957), Porgy and Bess (1958), and Sketches of Spain (1960). They’re all here, along with less-inspired, later projects like the Quiet Nights bossa nova album. What most distinguishes the box set is the archival work of Phil Schaap, who has compiled a wealth of alternate takes. They reveal much about the processes that went into these works, including extensive editing and even some overdubbing. As early as 1957, Evans and Davis were already beginning to use the studio itself as an integral part of their music.